Girl Messy Room. Games online. 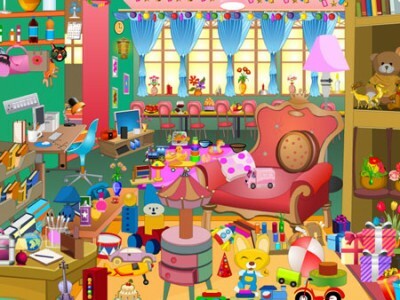 Girl Messy Room is funny online hidden game for girls by G2G. Quite a messy room. And quite crowded. We have a duty in this mess. Our mission: find desired items from us. These items can be sometimes 4 and sometimes 5. But this is a little difficult. Because there are too many toys. However, experienced players can do it. Time is short, let's hurry up a bit. Have fun.